Everything seems to be going well for Megan. Her mother, whom she had long believed to be dead, is alive and part of her life again; she just got married to the love of her life; and the law firm her father left her is beginning to take shape under her new leadership. But just when it seems like things couldn’t get much better, trouble comes to town as a DEA agent claims to be conducting an undercover investigation into the local Meth trade. When some of the local residents begin to lose their lives to the drug, Megan is determined to get to the bottom of it. The only question is, at what cost? The second book in the Wind Series by Judy Bruce, Alone In The Wind draws readers back to the small town in Nebraska where Megan grew up. The story picks up where the previous one left off, complete with all the familiar characters, as well as a few new faces- including a teenage girl who’s life is forever changed by the recent upsurge of meth in the community, and an autistic boy who might unknowingly hold the answers to uncovering the source of the drugs. On the home front, Megan’s marriage is on the rocks after a heated argument leads to the unthinkable, and she’s not sure if she can ever trust Bryan again. 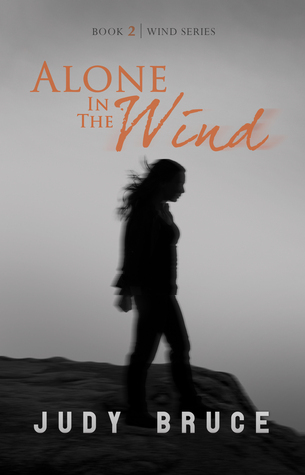 Full of suspense, action, and mystery, Alone In The Wind takes readers through some pretty heavy subjects, including PTSD, addiction, and infidelity- yet with an overshadowing theme of redemption and forgiveness that brings the story to a powerful and climatic close. 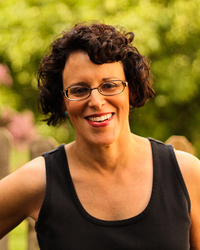 Judy Bruce is a resident of Omaha, Nebraska, U.S.A., she lives with her husband and two children. She has a law degree from Creighton University. Judy is the author of Death Steppe, a World War II novel. She maintains a website at judybruce.com and a blog at heyjoood.com.